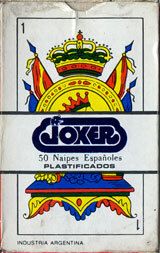 Standard playing cards manufactured by Joker S.A.
Joker S.A.I.C. 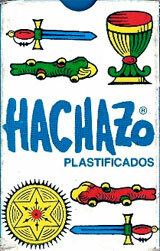 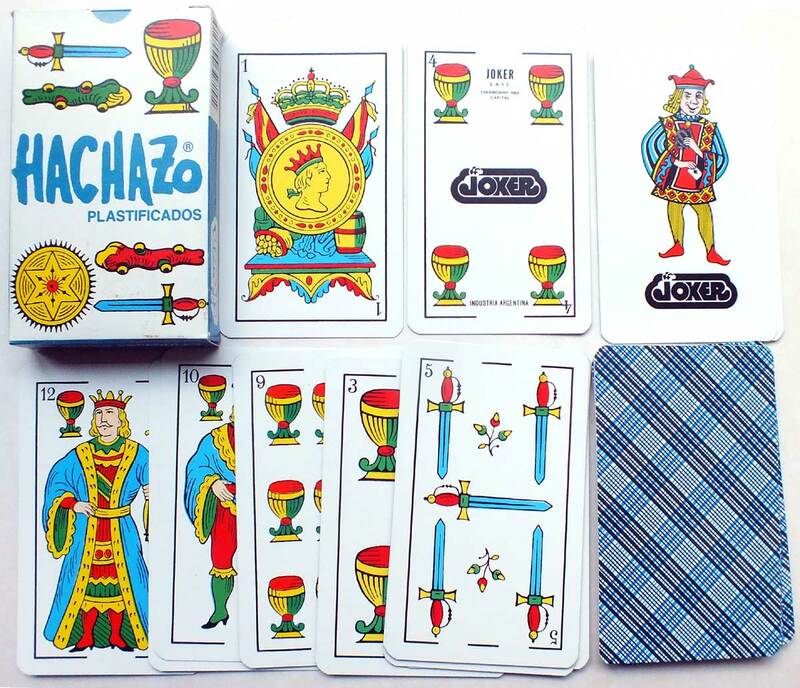 produce card games, tarot and advertising decks alongside their standard Spanish-suited and Anglo-American playing cards as shown below. 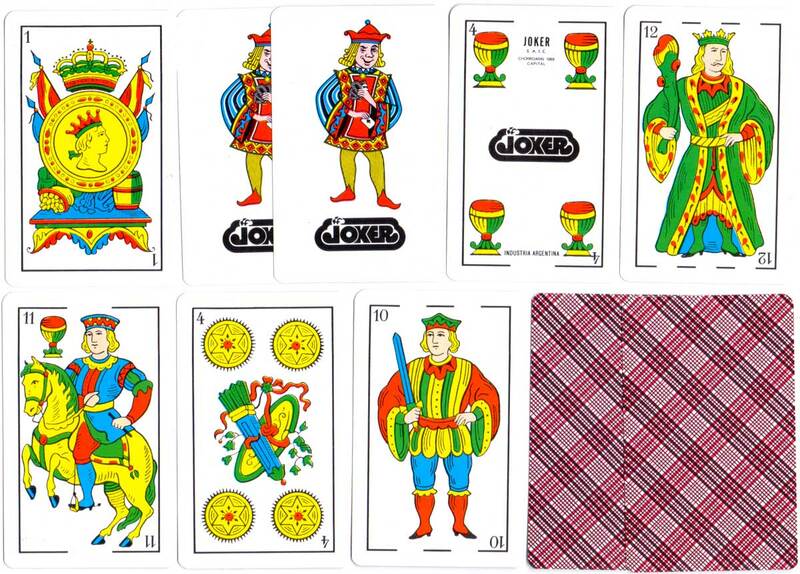 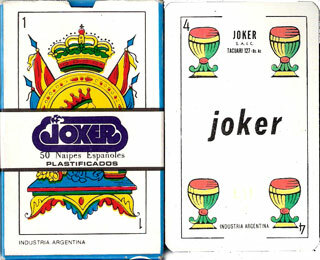 Above: new 'Joker' logo on the box, but the cards themselves have the word 'Joker' only and the address is given as Tacauri 127. 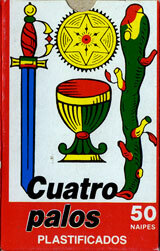 The type face for the indices is still the old one used by Cía Fabril Financiera. 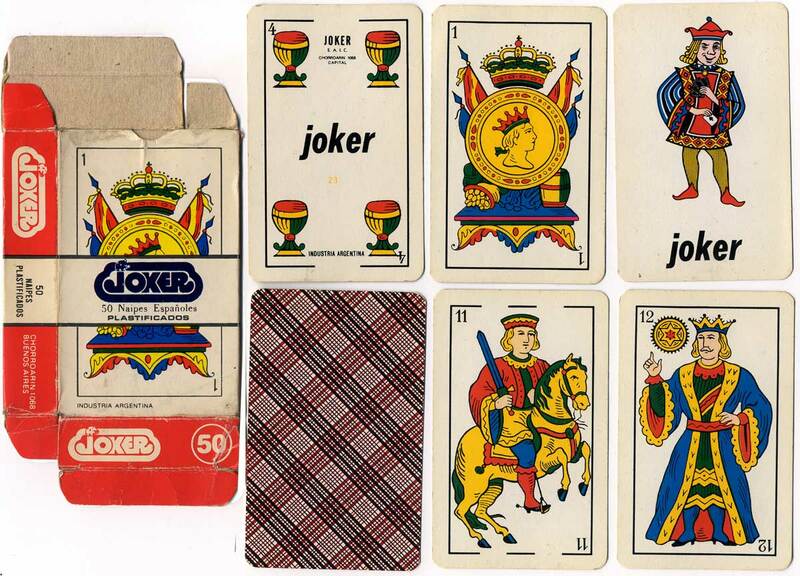 This would suggest a date of late 1970s. 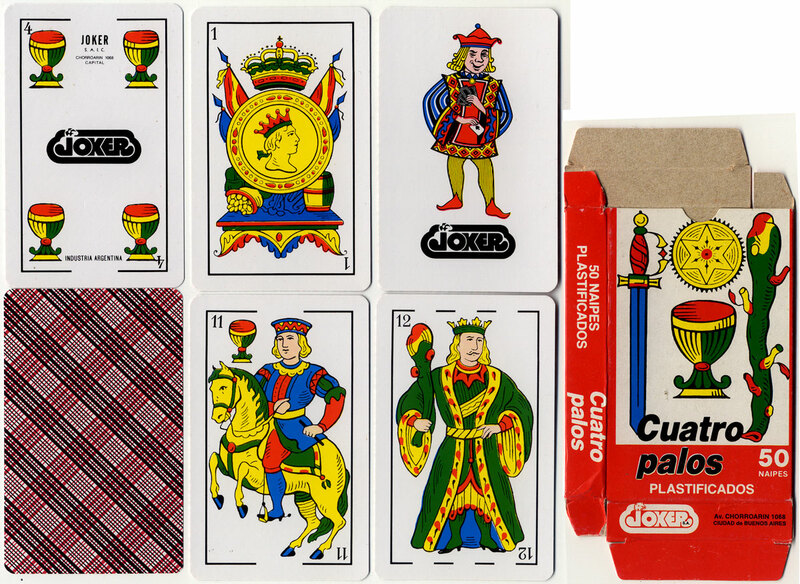 Above: the address is given as Chorroarín 1068 and the typeface for the indices has been changed, suggesting a date of c.1980. 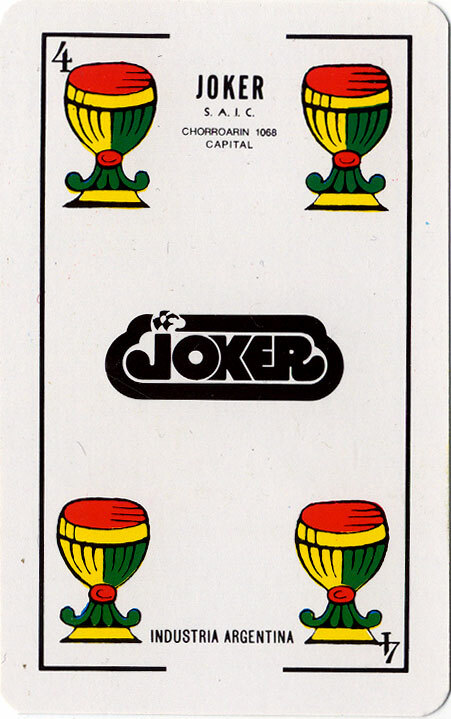 Above: the 'Joker' logo also appears on the four of cups and jokers, and the address is Chorroarín 1068, as is the case today. 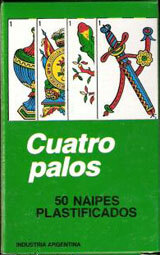 Above: "Cuatro Palos" Naipes Españoles, 48 cards + 2 jokers, c.2005. 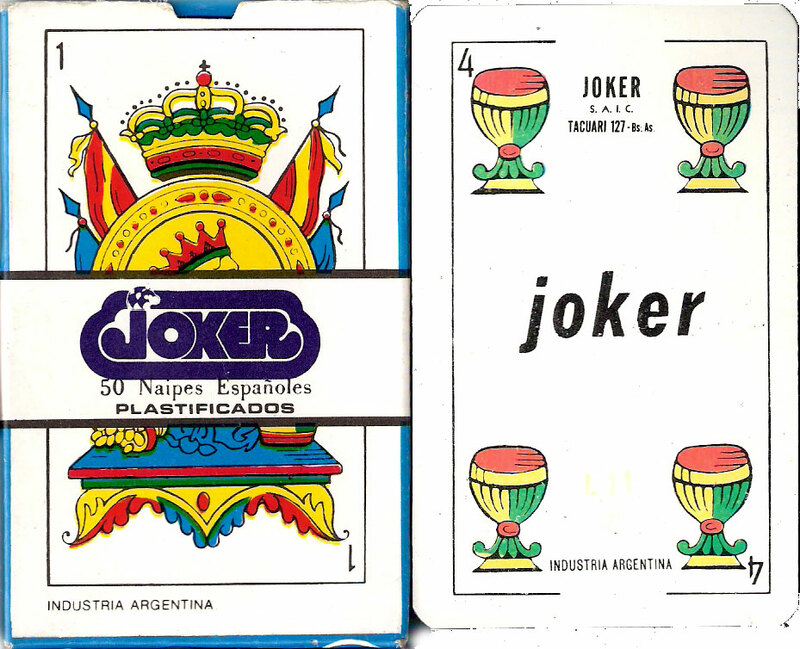 The joker is a rip-off of a design by Fournier (Spain). 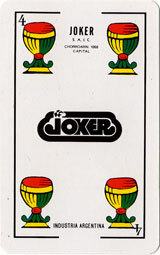 The company logo appears on the four of cups and the 2 jokers.